Francesco Sambero is back with “Noi”. 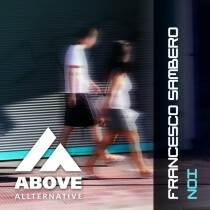 Quality Progressive Trance with a nice groove and a catchy vocal. Daniel Atari gave the track a deeper and darker interpretation with his remix. Polish producer-duo Sunwalkers kept it progressive, but with some fresh, clear sounds added in their remix this release is cool Allternative music for you!